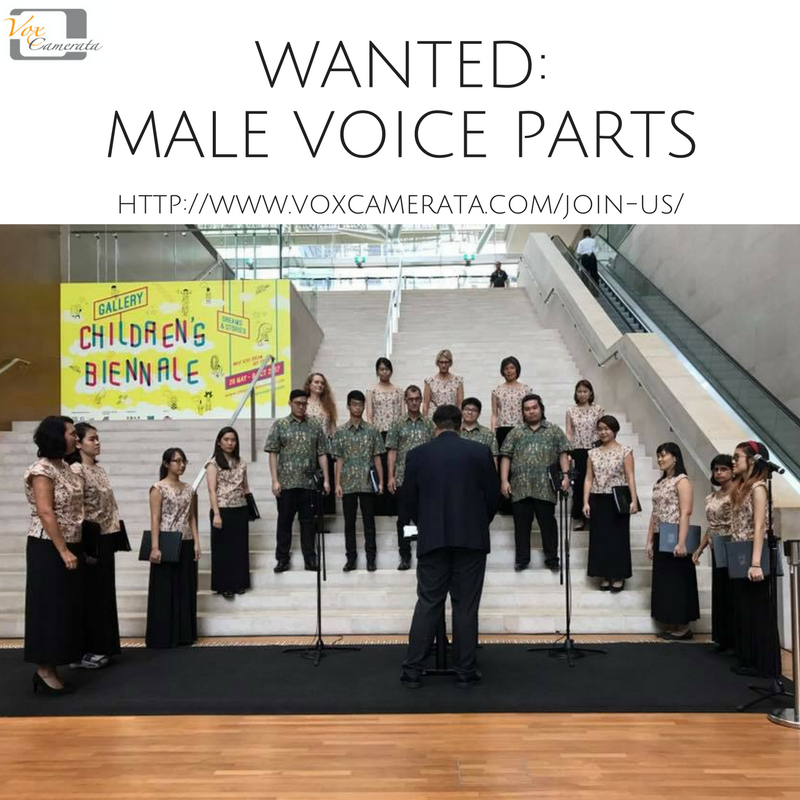 Vox Camerata is looking for male voice parts to join us as we embark on another exciting year! As a non-auditioned choir, Vox Camerata community choir hopes to make choral music inclusive and accessible to anyone regardless of music background and experience. If you like singing and performing, like making friends who share the same passion, and if you are free to sing on Saturday afternoons, you are what we want!